The Brazilian had a breakthrough campaign at AS Roma last season after replacing the departed Wojciech Szczesny. Alisson’s 22 clean sheets in 47 appearances across all competitions helped Roma reach the Champions League semi-finals for the first time since 1984 along with securing another top three Serie A finish. These strong displays at the Italian capital captured the interest of Real Madrid and Liverpool with the latter securing his signature for a then-world record fee of €72.5m for a goalkeeper. In the 30-man shortlist for 2018 Ballon d’Or, Alisson is one of only four keepers in the final selection. “It was a great honour to be nominated; realistically as a goalkeeper, it’s hard to be nominated and even harder to actually win it. 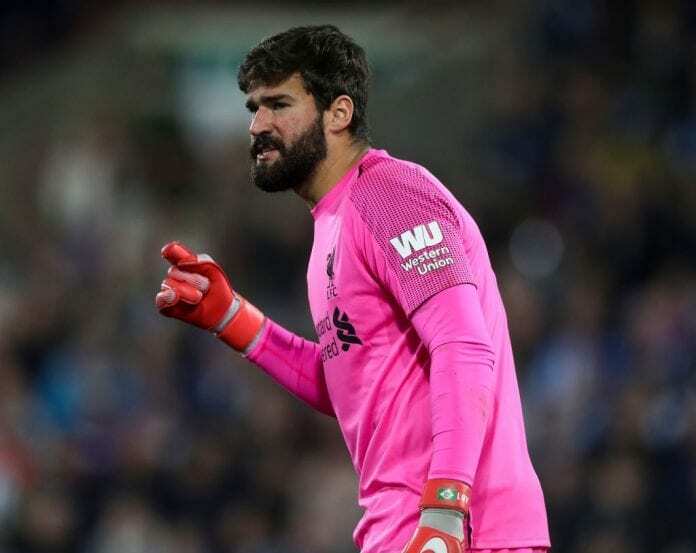 I had a great season last season but I don’t think it was sufficient to win the Ballon d’Or!” Alisson told the club website. “But I feel really honoured to have been nominated. My objective isn’t to achieve personal awards; my aim is to win titles with the club – last season with Roma, this season with Liverpool. “I’m really happy with the way we’re working, this continuity is really important. The others goalkeeper selected for the shortlist of the Ballon d’Or are Thibaut Courtois, Hugo Lloris and Jan Oblak.